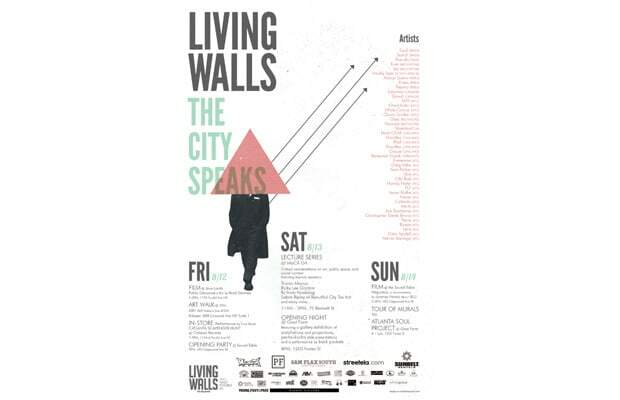 Last weekend, the ATL hosted Living Walls, The City Speaks, a mix of lectures and amazing street art. 36 influential street artists were invited to paint the city walls with original artwork in hopes of sparking interesting debates with the urbanites. Living Walls was at it's second edition and the likes of Roa, Ever, Jaz, Gaia and many more used the blank walls as canvases. We picked the 10 best murals produced during the event.